Created in 1960 via the union of newly independent British and Italian Somaliland, the coastal country in the Horn of Africa has a long history of instability, insurgency, and anarchy. Less than a decade after its creation, the elected government of Somalia was overthrown in a coup that ushered in an authoritarian socialist rule that saw the nationalization of the economy of persecution of political dissidents. The authoritarian government collapsed in 1991, after more than 30 years in power, creating a power vacuum that led to decades of civil strife and anarchy with a lack of central government. Ever since the collapse of the last semblance of central political authority, there has been continued civil war and factional fighting between pluralities of clan-based fiefdoms. Throughout this pandemonium, two relatively peaceful, self-governing, northern regions of Somaliland and Puntland effectively broke away from the rest of the nation. Beginning in 2000, there have been internationally backed efforts to establish a government in Somalia, however, most attempts have been futile. Recent efforts have been marginally more effective with the country inching towards stability. The fragile government, which recently held elections in February of this year, has several seemingly insurmountable obstacles to overcome, most notably the Al-Qaeda aligned Al-Shabaab insurgents which control roughly 30% of the country’s territory, primarily in the south. Throughout all the aforementioned chaos and disorder an informal economy, with an estimated GDP of roughly $6 billion has persisted. The economy is agriculturally based, with livestock accounting for 40% of GDP and over 50% of the nation’s export earnings. The once small industrial sector, based on the processing of agricultural products, was looted during the years of strife with much of the machinery being sold for scrap. With a clear lack of internal production, Somalians are largely dependent on foreign imports, which comprise about two-thirds of GDP. With exports only accounting for 15% of GDP, Somalia has a massive trade deficit that is largely funded by international remittances, estimated at a total of $1.3 billion a year. 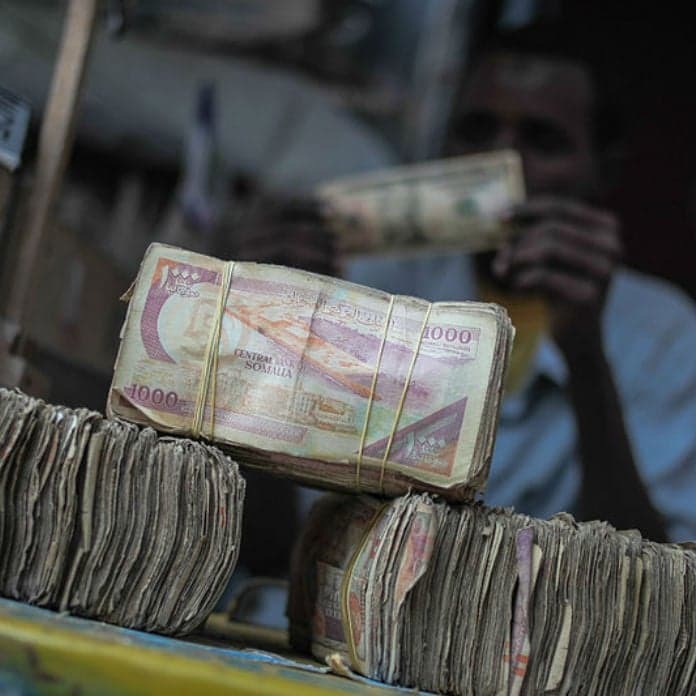 Many Somalians, over half of which live below the international poverty line, are critically dependent on these foreign remittances, however international concerns regarding money laundering and terrorist financing has caused many Western banks to close the accounts of Somali remittance companies. Given the magnitude of humanitarian, economic, military, and political issues facing the relatively weak central government, I will likely be years, even decades, before Somalia can recover with a functioning government and economy. On the bright side, however, international aid and support have given Somalia a much more optimistic outlook than it had only five or ten years ago.